Specialist Prosthodontist and owner of Blue Sky Dental in Chelmsford, Foxhall Dental in Ipswich and Cygnet Dental in Wickford. 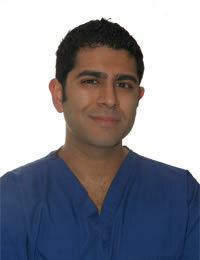 Hiten graduated from Guy's, King's and St Thomas' Dental Institute, London in 2003. After completing vocational training, he worked as a Senior House Officer at Basildon University Hospital. He then spent four years working in general dental practice in London while training to become a specialist. Hiten developed an interest in Prosthodontics and Implants during his Vocational Training and House Officer year. In 2005, he started specialist training in Prosthodontics at Guy's Hospital, London whilst working as a Staff Grade Oral Surgeon at King's College Hospital. Whilst completing his specialist training he has worked for and trained under world renowned Implant and Restorative Clinicians. In 2007 Hiten was appointed as an Associate Specialist in Restorative Dentistry at St. George's Hospital, London where he practiced all restorative modalities on a referral basis. Hiten achieved the Astratech® Prosthodontics award whilst completing his Master of Clinical Dentistry in Prosthodontics. He then obtained his Membership in Restorative Dentistry from the Royal College of Surgeons (Edinburgh). In 2009, he was accepted on the GDC Specialist Register for Prosthodontics. During his postgraduate studies, Hiten was awarded a scholarship to attend an International Implant course in Sweden. Hiten has attended many international conferences, for example, he has spoken at the International Association for Dental Research (IADR). Hiten works for referral practices in London, and Essex. He also enjoys teaching restorative dentistry to dental students at Guy's Hospital and is involved in running postgraduate courses on Implants for the London Deanery. He currently holds the position of Consultant in Prosthodontics at Guy's Hospital. Having my implant fitted, I mentioned that I hated the small gap at the top of my front tooth near my gum. Hiten said he could fill that with cosmetic bonding. It took 10 minutes and now looks amazing.